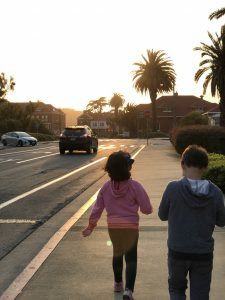 I am a big fan of local getaways especially when its a family friendly place. 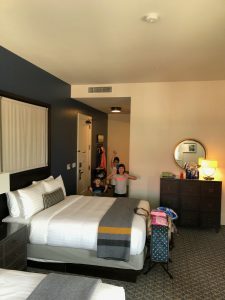 I am always on the lookout for new luxury family friendly hotels in the area where we can go for a getaway. 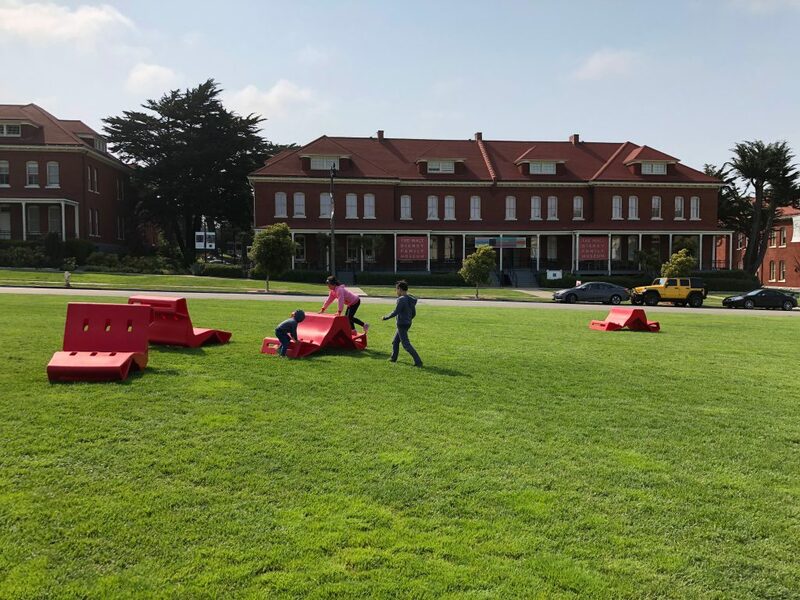 We heard about the Lodge at the Presidio opening and I got on board in making a reservation for us. We stayed 2 nights and we had an amazing experience. 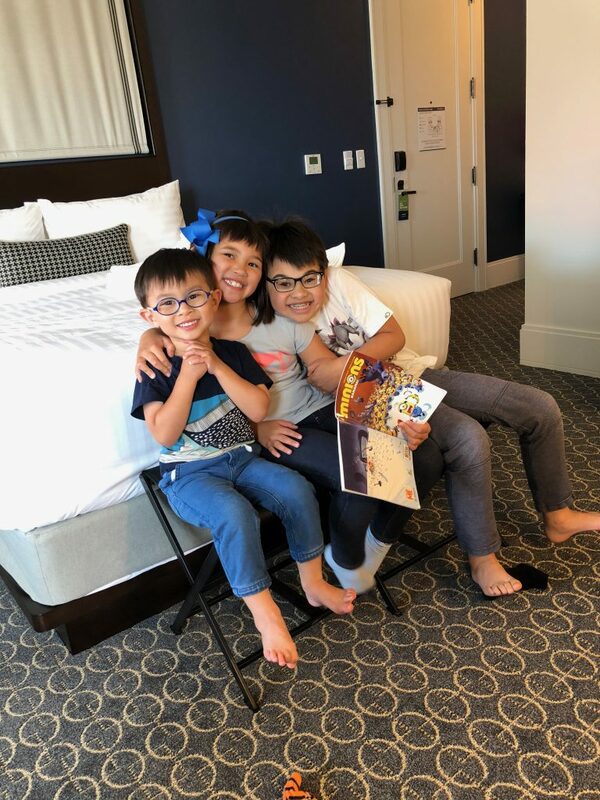 We got a 2 Queen beds corner room and we were pleasantly surprised by how spacious it was especially with my 3 children. The bathroom was nicely sized and it had 2 sinks which worked very well for a family of 5. We always wished for bigger size bathroom in our hotel rooms since it always tend to get too crowded with all of us taking turns to do our stuff. 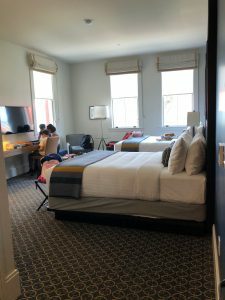 The room is very clean (given that it is a brand new hotel) and we had a bit of a problem with the draining issues in the shower but since everything else was nice we didn’t complain. They had complimentary breakfast which we took advantage of. It was set up in the lobby dining area and you seat yourself but each table is set up with linens and plates/silverware which made it extra special. The location is perfect. We were right next door to the Walt Disney Museum and parking was so easy. 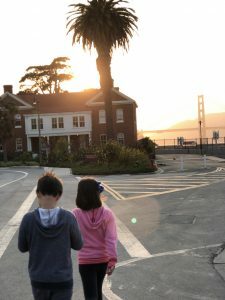 We dined at the Presidio Social Club which was delicious and very family friendly. It was a nice stroll to and from the Lodge. 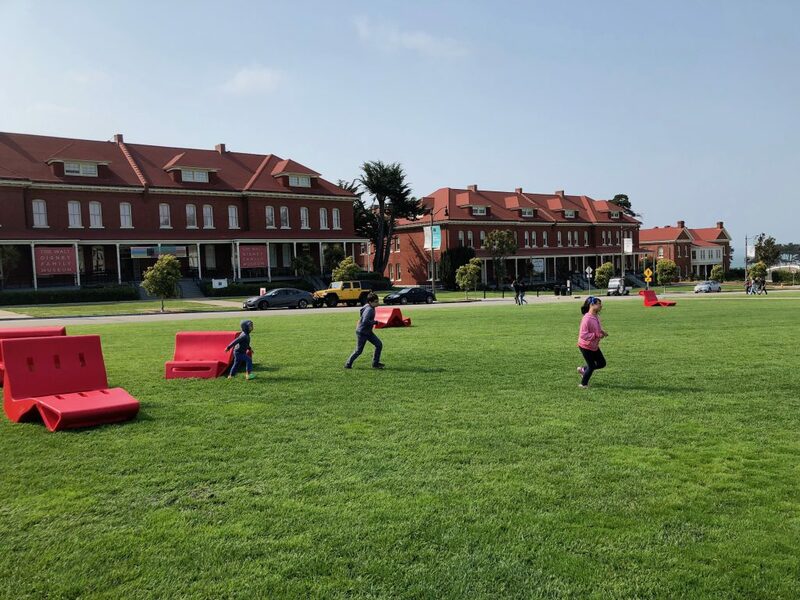 The kids enjoyed their stay and they loved running around in the lawn with the big red chair. I have shared this place with many families and it is already saved in my list as a place to go locally.